China and Taiwan rung in 2019 with attention-grabbing statements from both sides of the strait. On Wednesday, President Xi made a speech marking the 40th anniversary since China officially declared its policy towards settling cross-strait disputes. A bit of a mixed signal, his speech urged Taiwan to accept "peaceful reunification" and warned that China "make[s] no promise to abandon the use of force, and retain[s] the option of taking all necessary measures," while stating that "Chinese don't fight Chinese." Reiterating the Chinese Communist Party line, Xi also promised Taiwanese autonomy through the one-country-two-systems framework, which assures that Taiwan is granted legal, religious, and private property freedoms. Xi's speech came after Taiwanese leader, Tsai Ing-wen, gave a speech on January 1st calling on China to "face the reality of the existence of the Republic of China (Taiwan)." She added, "I must emphasize, the results of the past election absolutely do not represent that the will of the people at the grass-roots level seeks to give up our sovereignty." Taiwan's Ministry of Foreign Affairs (MOFA) said Xi's speech demonstrated "ignorance of the fact that Taiwan is a globally recognized democracy, that Taiwan's people refuse to accept the 'one country, two systems' approach and have the right to determine their own future." Tsai, of the largely pro-independence Democratic Progressive Party, rose to power in 2016 as one of the first Taiwanese leaders to openly support Taiwanese independence and change the rhetoric surrounding cross-strait relations. However, Tsai suffered a crushing political defeat in local elections this past November to the Kuomintang (KMT), which has a friendlier approach towards Beijing. The next round of Taiwanese political leadership is expected to favor closer ties with Beijing. The message coming from Beijing, however, remains unchanged. 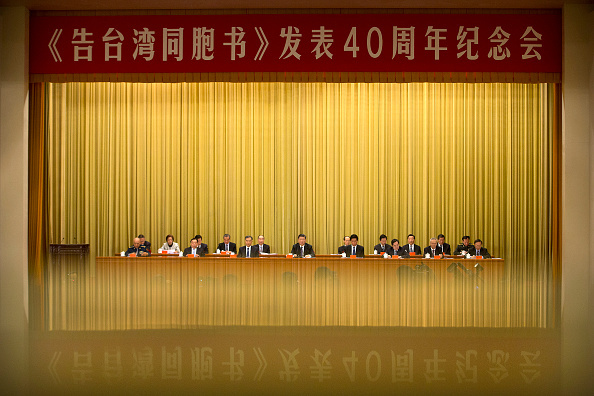 "My initial impression is that [Xi's] speech is a reaffirmation of current policy," Bonnie Glaser, a Chinese foreign policy expert at the Center for Strategic and International Studies said. "It is notable that there is no mention of a timetable or deadline for reunification, it is just a goal." Apple CEO Tim Cook made waves among investors and watchers of the global economy when he cited a slump in the China market as one of the reasons for Apple's sliding sales. Apple reported that sales in the fourth quarter of 2018 would be below expectations, explaining to investors that "While we anticipated some challenges in key emerging markets, we did not foresee the magnitude of the economic deceleration, particularly in Greater China... In fact, most of our revenue shortfall to our guidance, and over 100 percent of our year-over-year worldwide revenue decline, occurred in Greater China across iPhone, Mac and iPad." 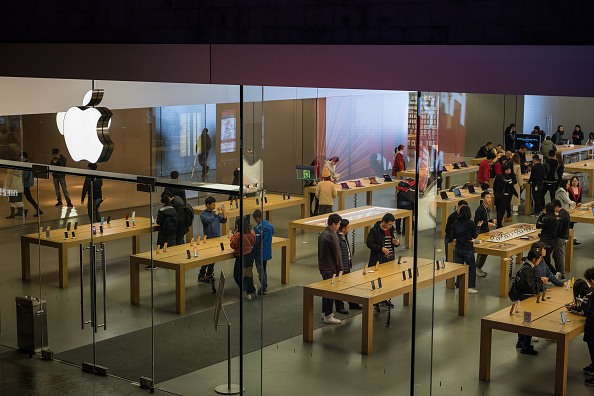 Apple's China troubles reflect signs of an apparent overall slowdown of the Chinese economy, now predicted to be growing at a plateauing 6.5%. Some analysts are concerned that this slump reflects greater troubles in the global economy, especially amid persisting tensions around US-China trade negotiations. China and the US are expected to meet next Monday and Tuesday for trade talks, according to China's commerce ministry. Negotiations are set to end by March 2nd, 2019. China's Chang`e-4 lunar rover made history this Wednesday, becoming the first vehicle to land on the far side of the moon. Named after the Chinese mythological goddess of the moon, the exploration was launched early December and landed on the moon's oldest and deepest crater, Von Kármán. The crater is about 110 miles wide and rests at the south pole of the moon. Some scientists believe that this crater may be rich in minerals and could provide information about the moon's development. 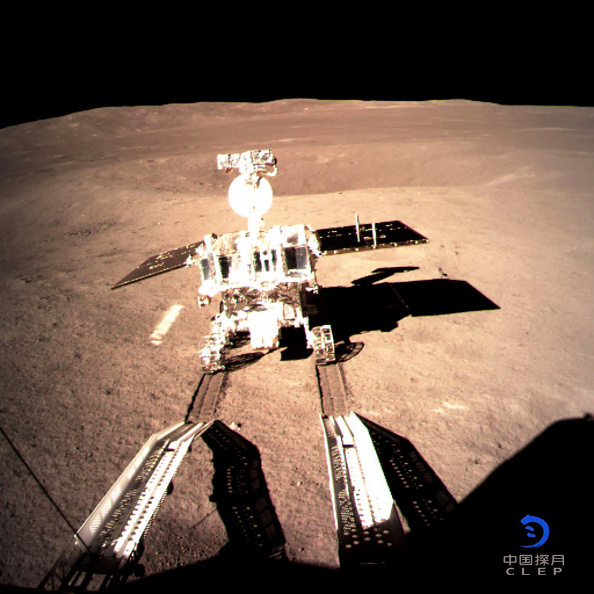 The success of the mission surprised some international observers, and comes as China prepares to advance its space exploration programs, including plans to send astronauts to the Moon and to build a Chinese space station by 2020. Alan Duffy, a lead scientist with the Royal Institution of Australia who focuses on space exploration, noted that China's successful landing "was a clear statement about the level of maturity that China's technology has now reached. Beijing's longer-term goal to match U.S. capabilities could now become reality within two decades, and on the moon within perhaps only one decade." The milestone sparked rumors of a new "space race" between China and the US, as NASA administrator Jim Bridenstine has stated that "It's time to take all of what we've learned on the International Space Station and go the next step for a permanent presence on and at the moon."